Are contributions to Citizens United tax deductible? How can I donate to Citizens United? Can I designate a gift for use on a certain movie or project? Where is your work shown? What is Citizens United's policy on donor privacy? No, contributions to Citizens United are not tax deductible as it is a non-profit company organized under Section 501(c)4 of the federal tax code. However, contributions to a related organization, Citizens United Foundation are tax deductible for furtherance of its separate mission. Citizens United's tax identification number is (Federal EIN): 91-1433368. Citizens United Foundation's tax identification number is (Federal EIN): 54-1626748. Contribute By Mail - Please make all checks payable to "Citizens United" and address all correspondence to: 1006 Pennsylvania Ave, SE, Washington, DC 20003. Contribute By Phone - Please call us directly at (202) 547-5420. Citizens United accepts all major credit cards: VISA, MasterCard, American Express, and Discover. Contribute Online - Please visit this part of our website to make a secure and safe contribution online. Through a planned gift - Please visit Citizens United Legacy Society for more information about how you can help make a difference with Citizens United through a planned gift. Volunteering - Citizens United has volunteer opportunities on different projects. For more information, please contact our office at (202) 547-5420. Yes, contributions can be designated for specific projects, including specific films and other activities. There are also very unique sponsorship opportunities for our upcoming films, which enables supporters to have a direct impact in the creation and promotion of a film's message they care about. Please contact our Vice President of Development, Richard Kimble at (202) 547-5420 to make a contribution to a specific project, or note your intentions when you mail in a contribution. Yes, you can contribute to Citizens United automatically each month or quarter through an automatic charge to your credit card or through an automatic funds transfer from your checking account. These funds are deposited directly into Citizens United's operating fund, instantly helping Citizens United further its mission. To establish a recurring contribution, please contact our office at (202) 547-5420. An answer to this question and others can be found at our Fulfilling Our Mission page. More information can be seeing on our Fulfilling Our Mission page. Donors give to Citizens United out of the goodness of their hearts with the goal of making the United States a better place to live, work, and raise families. To help ensure that our donors feel comfortable in their giving, Citizens United does not disclose a donor's identity without the donor's consent. We will disclose information required by law and from time to time will rent donor names to help finance our direct marketing efforts. Citizens United members can be assured that information about their donations are handled with respect and with confidentiality. A Citizens United employee would be happy to try and answer any questions you might have. 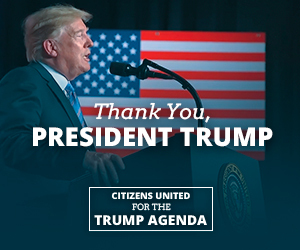 Please call us at (202) 547-5420, or email us at info@citizensunited.org, or write us at Citizens United, 1006 Pennsylvania Ave, SE, Washington, DC 20003.